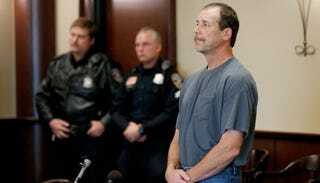 Theodore Wafer, the man who shot Renisha McBride last year, will head to trial on July 21. The proceedings are expected to last approximately three weeks and were originally slated to begin June 2. According to the Detroit Free Press, Wafer was granted a new judge per his request in April because the previous presiding Judge Qiana Lillard is Facebook friends with Wayne County prosecuting attorney Kym Worthy. Now Wayne County Circuit Court Judge Dana Hathaway will preside. Wafer is charged with second-degree murder, manslaughter and possession of a felony firearm after he shot McBride in the face after finding her on his porch late one night in November.